I had my dear friend Keo as my chat companion most of this morning. We were talking knitting, and I was going off on random tangents about knitting in the round and how not scary it actually is. Of course, my pictures like this one, meant to be soothing, probably did more to vex than not, ha ha. But it’s fine, really. I said that we could touch base on this later when she’s feeling more up to thinking about it. And in the interim, I might poke around and see if I can find likely wool for gloves she was interested in having. Otherwise, I’ve been working, and doing the best to not move. I got slammed by a wave of unwell yesterday, and while I’ve not had quite the same today, I’ve still been a bit off colour. Hopefully I’ll feel better tomorrow, since the other option is ‘hide in bed and wait for it to pass’. I have to be hella sick to do that, and ngl, I’ve not been too far off of it, so. Anyways! 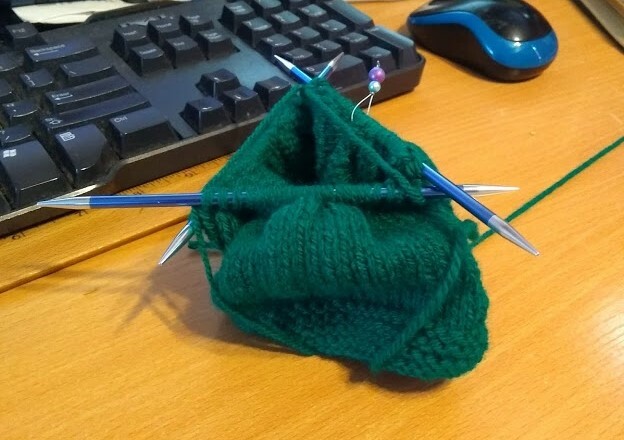 Gonna go back to knitting, and gaming. I’ve got a Sims 3 legacy up for the moment, but I just bought a few new games via Fanatical bundles, so that gives me more things to think about checking out. Knitting in the round is even less scary on circular needles, I find. Less danger of dropping anything.